Vikram Sarabhai was an Indian physicist regarded as the Father of the Indian Space program. This biography of Vikram Sarabhai provides detailed information about his childhood, life, achievements, works & timeline. Fondly called the Father of the Indian Space program, Vikram Sarabhai was a man much ahead of his times. Born into a wealthy business family in India, he enjoyed a privileged childhood and the means to pursue all the education he wanted. 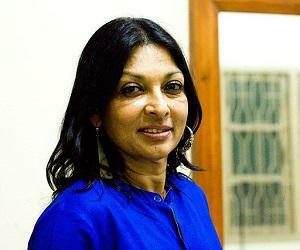 From a young age Sarabhai developed a deep interest in science and mathematics. He was a very curious child who loved to explore life. After completing his primary education from India he moved abroad for further studies. He became obsessed with science and all that science has to offer over his course of stay in England. By the time he was back to India, he was fixated on contributing something of relevance to the country. He began researching on cosmic rays at the Indian Institute of Science, Bangalore, and such was his dedication that he published his first scientific paper within two years of starting his research! He once again went to England and returned when India had become independent. Realizing the need for quality research institutions in the newly independent country, he helped to establish the Physical Research Laboratory (PRL) in Ahmedabad. He also played an instrumental role in the establishment of the Indian Space Research Organization (ISRO). He was born as one of the eight children of Ambalal and Sarla Devi in the city of Ahmedabad in Gujarat, India. His family was a very affluent one which managed several textile mills. After passing the intermediate Science examination from the Gujarat College in Ahmedabad he went to England for his further studies. He enrolled at the St. John’s College, University of Cambridge from where he received the Tripos in Natural Sciences in 1940. After coming back to India he joined the Indian Institute of Science in Bangalore to carry out research on cosmic rays. This was something he undertook on the advice of the eminent scientist C.V. Raman. His first scientific paper ‘Time Distribution of Cosmic Rays’ was published in 1942. He returned to Cambridge in 1945 to further his research on cosmic rays and earned his PhD for his thesis ‘Cosmic ray investigations in tropical latitudes’. He returned to India when the country had newly become independent. Sensing the need for better scientific facilities in the country, Sarabhai convinced the charitable trusts his family managed to establish The Physical Research Laboratory (PRL) in Ahmedabad in November 1947. K.R. 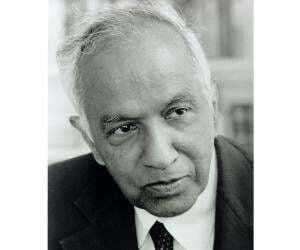 Ramanathan, an atmospheric scientist was the founder director of PRL and under his able guidance the institution went on to become a leading research organization dedicated to cosmic rays and space sciences. He was the founding director of the Indian Institute of Management (IIM), Ahmedabad which was the second IIM in the country. Along with businessman Kasturbhai Lalbhai he played a key role in setting up the institute of learning in 1961. He was the driving force behind the setting up of the Centre for Environmental Planning and Technology University (CEPT University) in Ahmedabad in 1962 which offers undergraduate and postgraduate programs in disciplines like architecture, planning and technology. In 1965, he founded the Nehru Foundation for Development (NFD) which is dedicated towards the promotion of basic study on the current problems of societal and individual development. 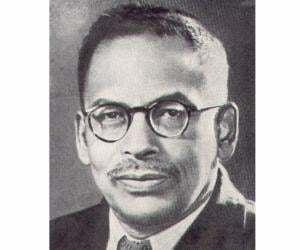 During the 1960s he also established the Vikram A. Sarabhai Community Science Centre (VASCSC) for promoting science and mathematics education among students and the general public. The organization aimed at stimulating interest in science subject among the masses. Sarabhai was fully supported in his ventures by Dr. Homi Bhabha who was a pioneer in the field of nuclear research in India. Bhabha helped Sarabhai in setting up the first rocket launching station at Thumba on the coast of the Arabian Sea. The inaugural flight was launched on 21st November 1963. His most significant contribution to India was the Indian Space Research Organization (ISRO) which he helped to establish in 1969. The major objective of the organization is to advance space technology and apply it for national benefits. 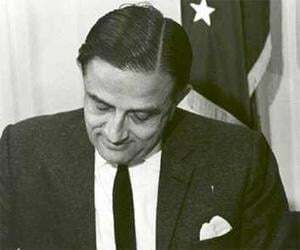 Vikram Sarabhai is remembered as the Father of the Indian Space Program for his contributions to the field of space science. He founded the Indian Space Research Organization (ISRO) which eventually became the largest government space agency in the world. For his visionary work in the field of space science, this scientist was decorated with two of India’s most honorable awards: the Padma Bhushan (1966) and the Padma Vibhushan (awarded posthumously in 1972). 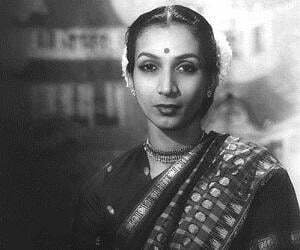 He married the celebrated classical dancer Mrinalini in 1942. The couple had two children. His daughter Mallika and son Karthikeya too became famous personalities in their own rights. His married life was troubled and he was said to have been in a relationship with Dr. Kamala Choudhary. He died suddenly on 30 December 1971. The cause of his death was never determined. This great scientist set up Operations Research Group (ORG), the first market research organization in India.